Last week, ProPublica's Charles Ornstein had the story of Dr. Suha Abushamma, a Sudanese first-year resident at Cleveland Clinic with an H1-B visa, who had been turned away upon landing at JFK and forced to fly to Saudi Arabia when President Trump's executive order on immigration took effect. According to STAT, Abushamma returned to the United States yesterday thanks to the stay of the executive order issued by a federal judge in Seattle. 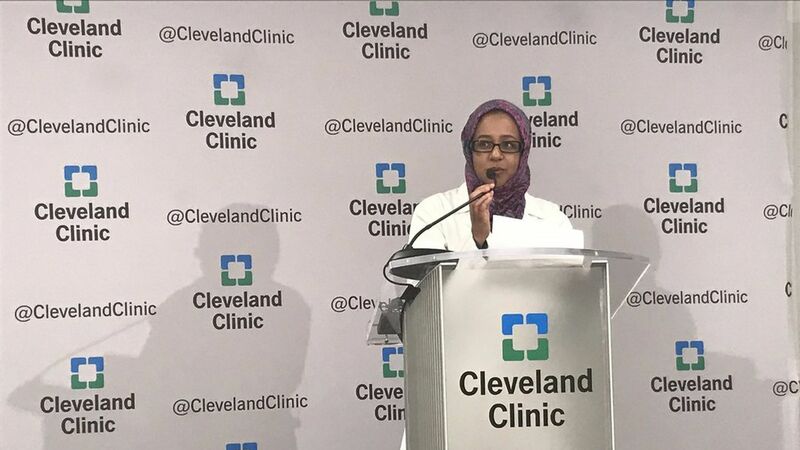 The Cleveland Clinic had faced controversy for scheduling a fundraiser at Trump's Mar-a-Lago, but worked diligently behind the scenes to ensure Abushamma's return. Her text to her lawyer upon arriving in the U.S.: "Hi David. I'm out. I'm in front of the Dunkin Donuts Express. Where are you?"